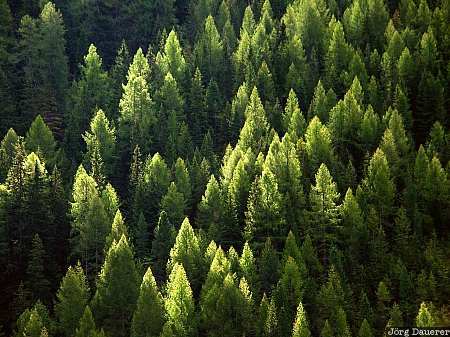 The pattern of a forest of fir trees near Passo di Fedaia in the Dolomite Alps. Passo di Fedaia is in the province Belluno in northern Italy. This photo was taken during a sunny day in early September of 2003. This photo is part of the exhibition Trees (October 2007). This photo was taken with a digital camera.